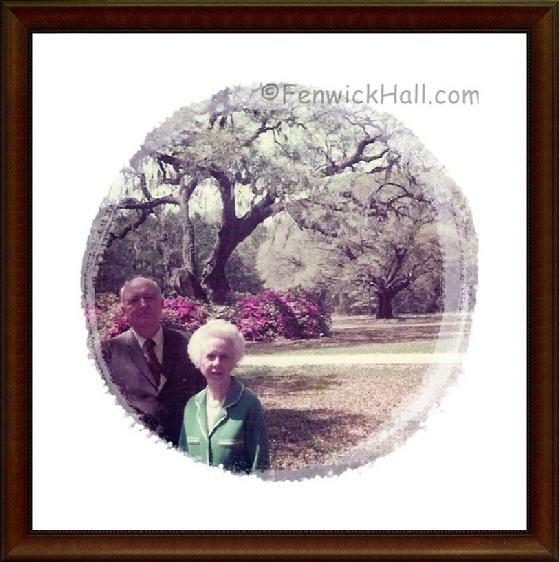 Former plantation owners, Claude & Nellie Blanchard, Sr on the grounds of their wonderful Fenwick Hall Plantation. 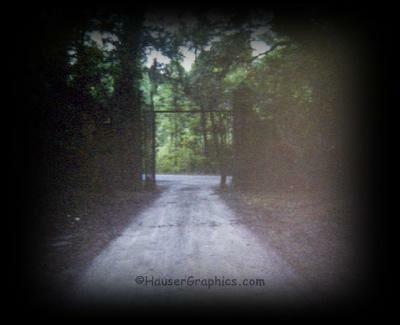 Photo taken in late 1970's. 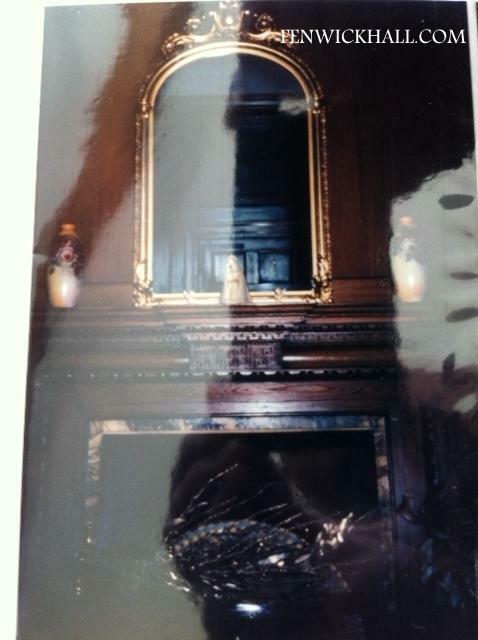 Photo courtesy of their grandson, Claude W.Blanchard III of Charleston. 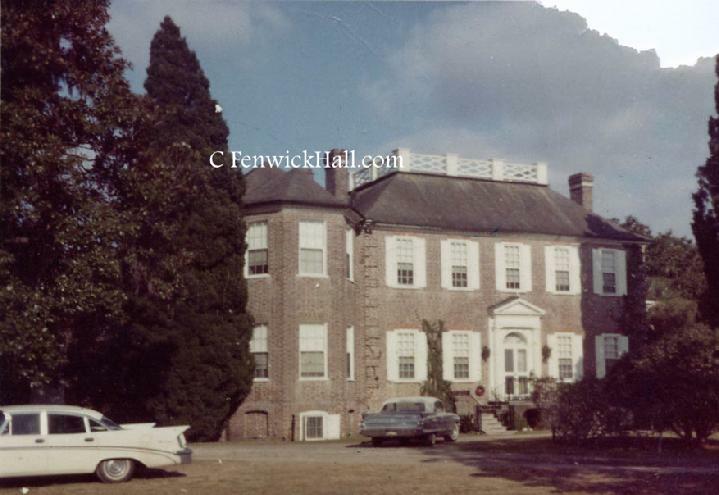 Fenwick Hall Guest, Dec 1964, with a new cadillac convertible in the background. 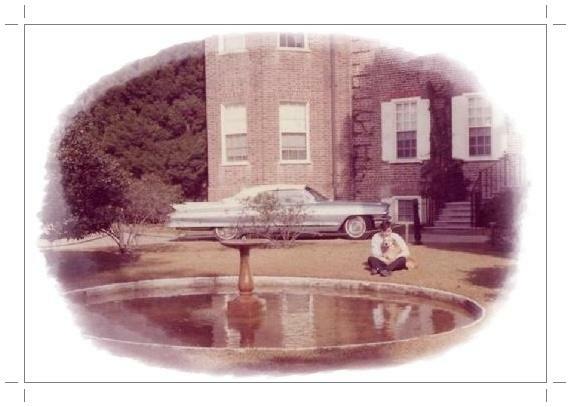 Note old black horse hitching post behind the visitor. Photo courtesy of Robert Igoe Blanchard. 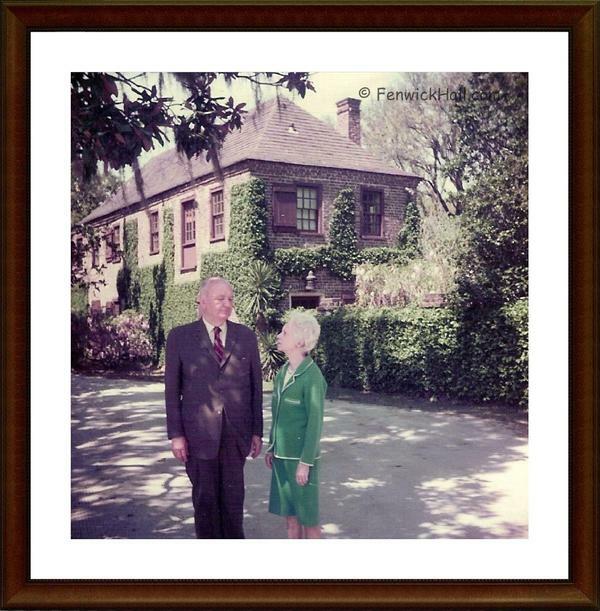 Former Plantation owners, Claude W. and Helena I. Blanchard, Sr in front of their 1750's Carriage House. Photo ~ 1970 Courtesy their grandson, Claude Blanchard III. 1975. 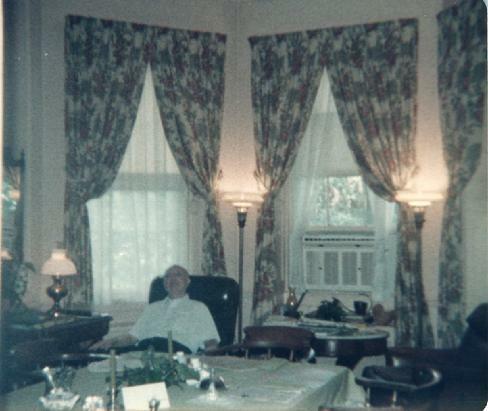 Mr Claude W Blanchard Sr in first floor octagonal wing, informal dining room, that faced the Stono River. Photographer John R. Hauser. 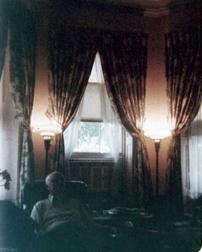 Above-Former plantation owner, Mr Claude W. Blanchard Sr,, in his favorite chair (1970's). 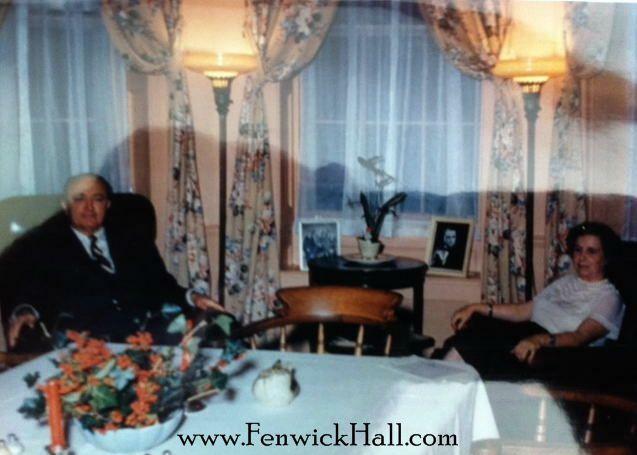 Notice the wood chairs around the table above. 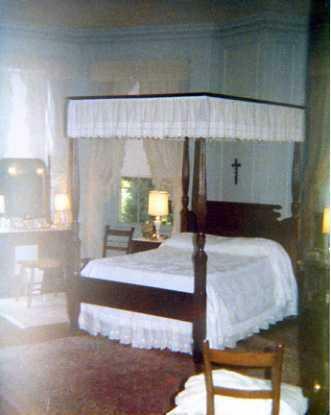 The chairs were from old sailing vessels from Charleston and were collected and used at Fenwick Hall. I hope the chairs are still around 'somewhere'. 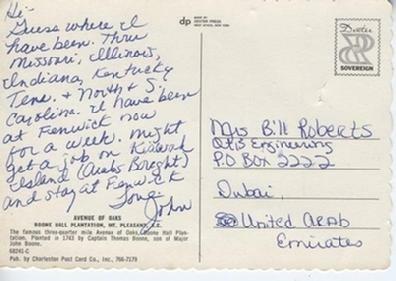 The Blanchard's daughter, Helena Igoe Blanchard Mckay-Vivona, handwrote her parents 50th wedding anniversary invitation shown above & below in the 70's. The party was quite an event as most of Charleston's elite attended. 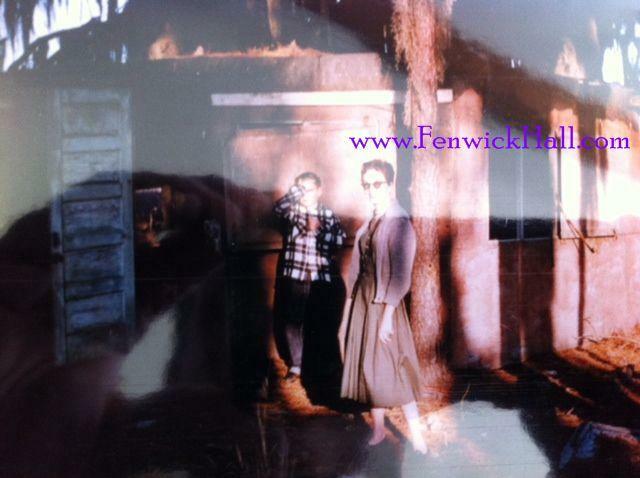 Robert Igoe Blanchard and neice, nephew at Angel Oak, Johns Island, 1970's. Blanchard Family Reunion & 50th Wedding Anniversary, 1970's. Photo taken in the formal garden by John Hauser standing behind the 'real' hired professional photographer. 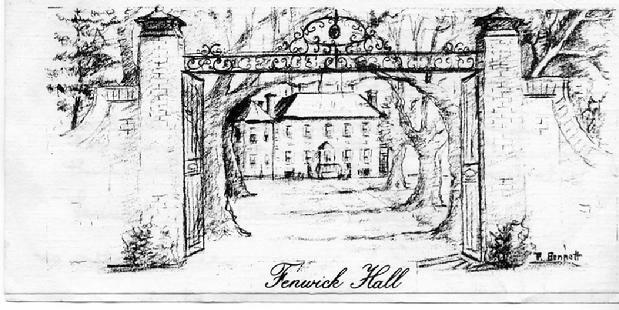 Fenwick's Main Gate to River Road, 1970's. Photographer John R. Hauser. 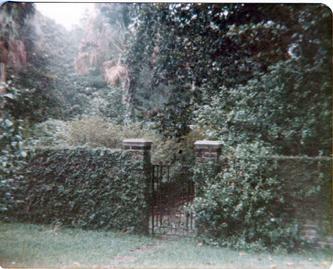 1974, Matching gates in formal garden. Photographer John R. Hauser. 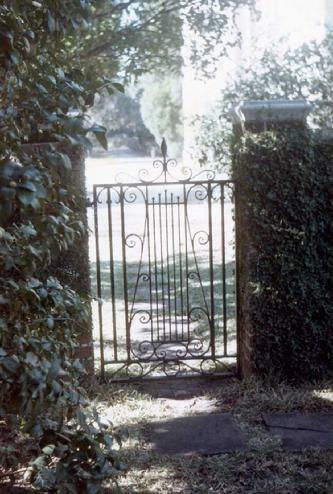 1974 Garden Gate. Photographer John R. Hauser. 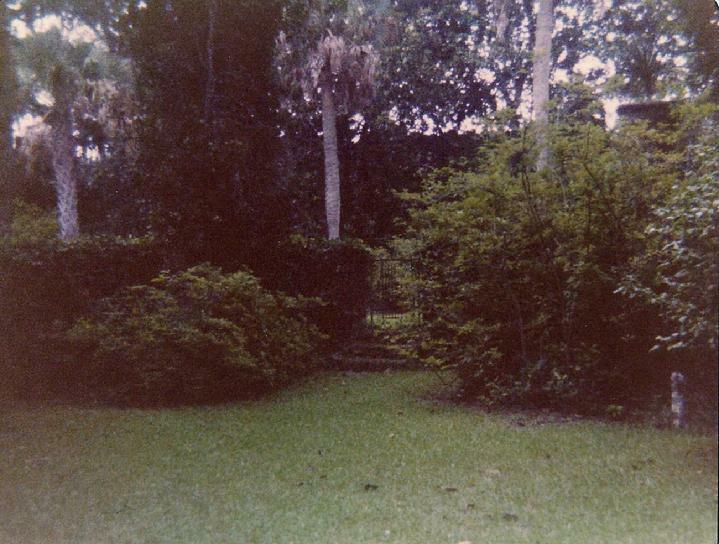 1974, Side Drive to Maybank Highway also lined with oaks. Where civil war soldiers have been seen marching by. Photographer John R. Hauser. 1974, Fenwick Rear River Side. 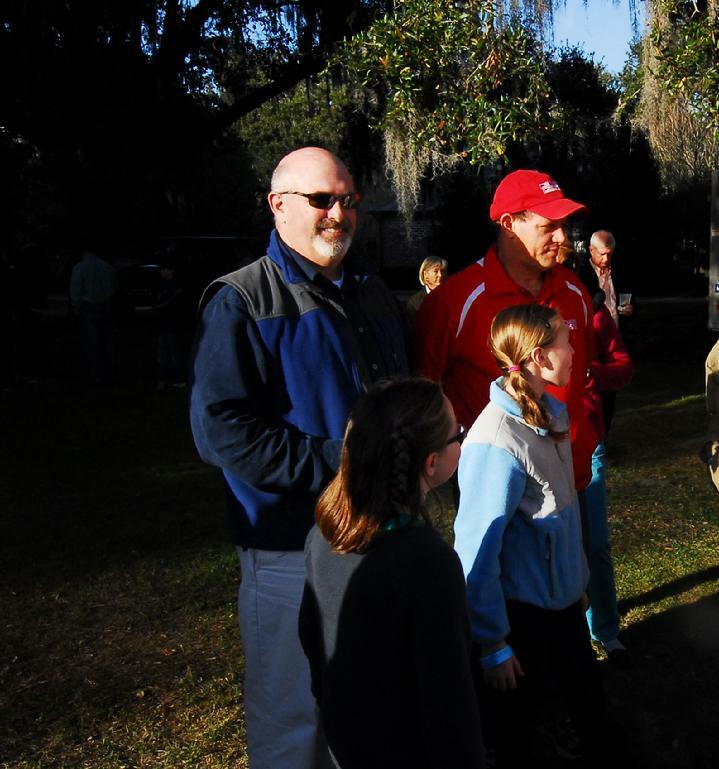 The secret tunnel goes beneath this land to the Stono River. Perfect for transporting Pirate treasure or escaping from enemy troups. Photographer John R. Hauser. Above and Below photos- rear of House (North) faces the Stono River. more ornate "Palladian windows" on both sides of the entrance door. There are no palladian windows on the south side. This rear door (North) is even larger than the now (south) front door. -This was Fenwick's Hall front yard centurys ago that sloped down to the Stono. 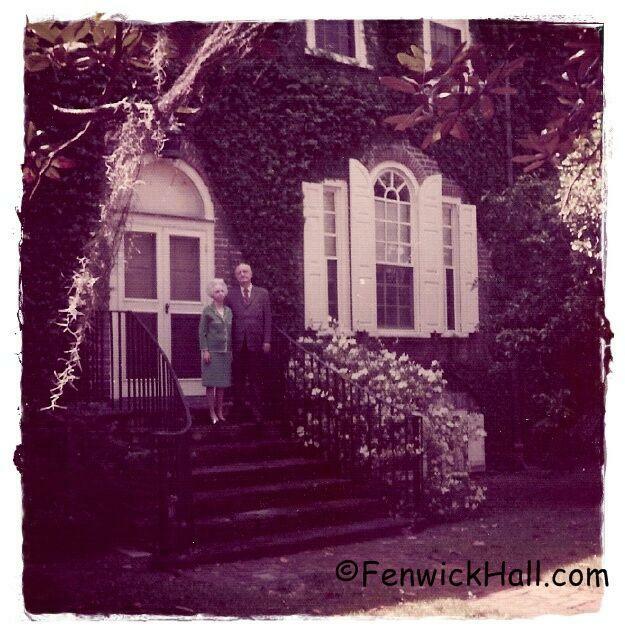 Claude and Nellie Blanchard facing the Stono River Entrance Door to their former Fenwick Hall Plantation. 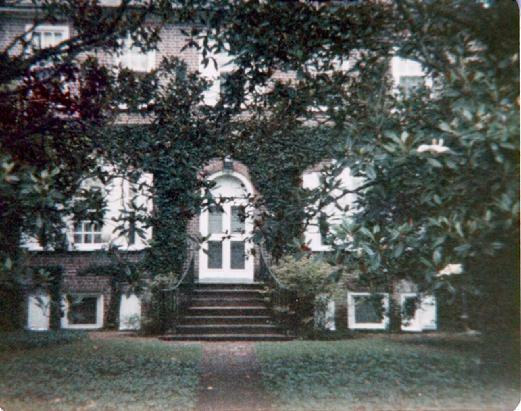 Note the Palladian window on the right of the door as it is one of the first in S.Carolina. Photo courtesy of Claude Blanchard III. 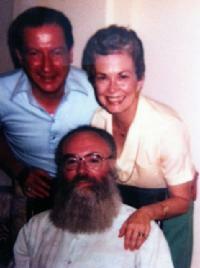 Below Left--Claude W. Blanchard Sr.
Middle- "Nellie" Igoe Blanchard (on left) and two friends from Composer Forum for Catholic Worship in St Louis, MO, which was owned by Bob Blanchard. 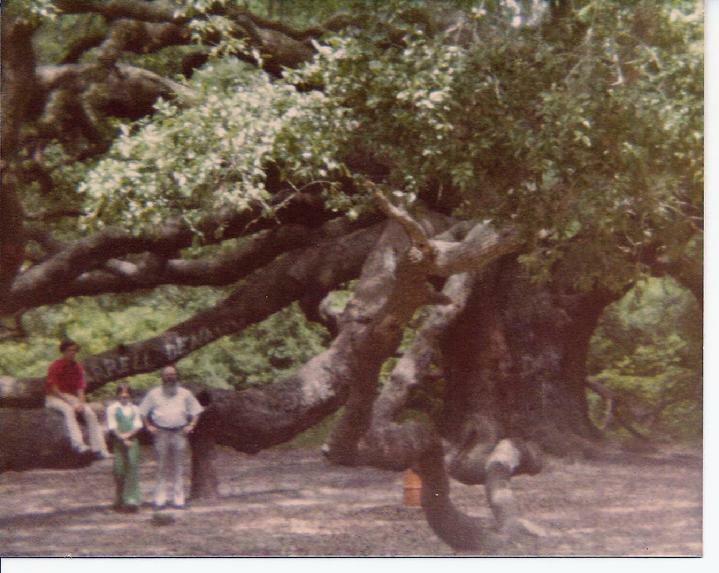 Right-Robert Igoe Blanchard and a niece & nephew at the "Angel Oak". 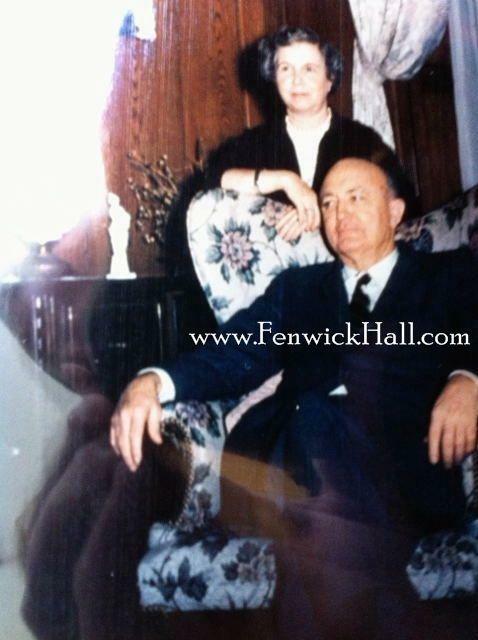 1974, Mr Claude Wright Blanchard Sr, former owner. Photographer John R. Hauser. 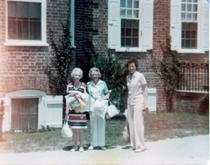 1974, Nellie Blanchard (on left). She had a great soprano voice! With two friends from Sugarcreek, Mo who worked at the Composers Forum for Catholic Worship with Bob Blanchard. Photographer John R. Hauser. 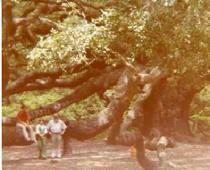 1975, Composer Robert Igoe Blanchard at Angel Oak with niece/nephew. Photographer John R. Hauser. 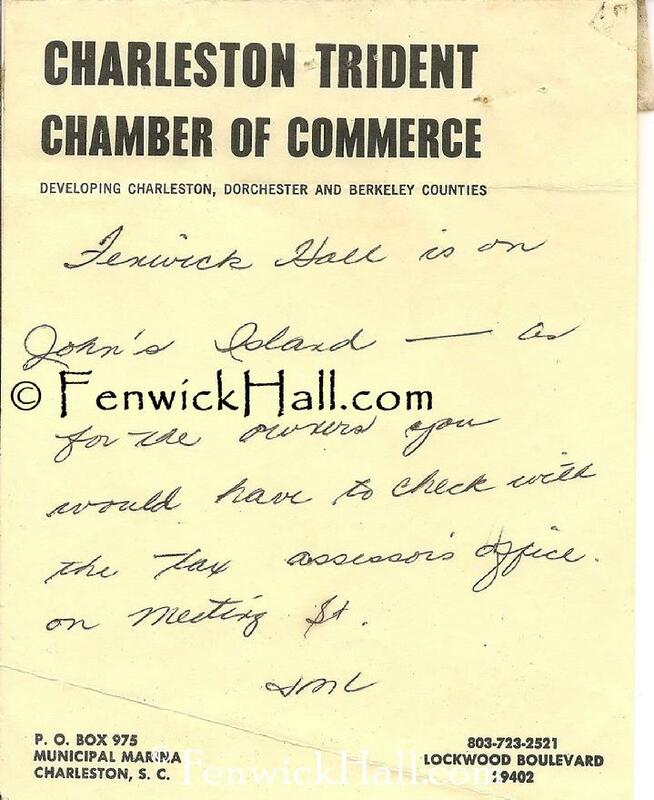 old postcard, early 70's, Kiawah just opened.